I’m thrilled to have an article on The Innovative Educator today. I’m sharing it here too for you, my favorite readers. Recently, author and changemaker Seth Godin published the e-book Stop Stealing Dreams, a manifesto on the future of education. It’s a sweeping declaration of why schools are broken and how they ought to be fixed. In section #121 Godin gets to homeschooling: “Thousands of caring and committed parents are taking their kids out of the industrial system of schooling and daring to educate them themselves.” A promising first line! Then suddenly, without even a paragraph of consideration, Godin swats homeschooling aside, as if it were a senseless idea in a brainstorming session. It’s too challenging for most parents, too big a time commitment. It doesn’t give kids enough freedom to fail. I wished right then that I could have Godin over for a cup of coffee to explain a few things. Hey, I’d include a whole crew of education reform folks in the invite—I’d rent one of those big silver coffee urns and bake blueberry muffins. I wouldn’t gather them around my kitchen table to convince them that everyone should homeschool. No, I believe in their cause; I believe that it’s time to reinvent schools. Instead, what I’d want to tell them is this: we homeschoolers could teach them a thing or two about the models they’re proposing. Because what is a futuristic model to education reformers is a way of life for many homeschoolers. I’ve been a homeschooling parent for sixteen years, since my oldest became a preschool dropout. Before that I taught third grade in a public school. People unfamiliar with homeschooling often assume that as a homeschooling parent, I simply replicate what I did as a teacher with a smaller group of students, at home. Sure, when we started out, I modeled our days on my classroom experiences, as do many new homeschooling parents. We’d do math activities every day; we’d write in journals every morning. But here’s the part that those unfamiliar with homeschooling don’t understand: most homeschoolers shift from the school model rather quickly. The degree of this shift varies widely: some do it in small ways, deciding that a particular math textbook isn’t working for their child, for example, and eschewing it for another. Some shift in much more radical ways, tossing out the school model altogether, and trying an alternative approach such as unschooling, which values interest-driven learning based on life, rather than a curriculum. Even those who begin as unschoolers are likely to experience this shift, finding themselves becoming braver and more freethinking as they go. Talk to any homeschooling family who has been at it for a while, and you are likely to hear that they’ve made such a shift. A shift away from the school model and towards something different. A move away from society’s expectations and towards the needs of their particular children. Take heed, school reformers! Let us show you why this happens, and how. Why do we shift? Because the needs of the child become so clear in a homeschool setting. When we watch our kids learn about something that electrifies them, that has them lost in thought, or talking fast, or reading into the night, or endlessly crafting, creating or building—we want more of that for them. We see the power of their engagement, and come to understand what real, deep learning means. And we try to help that happen more often. We also witness when learning doesn’t work, when a child is bored, or frustrated, or simply sleepwalking through a task. This is the point when many homeschoolers let school-thought creep in. We worry that we need to push our kids through it, that they need to experience boredom and challenge because this is stuff of life. But then we recall those other moments, those times of engaged learning when we surely saw sparks in their eyes, and we begin to move past the school way of thinking. We begin to realize that any kid who develops passions will come across real-life obstacles in pursuing those passions—and that’s where they’ll learn about effort, perseverance, and doing things they don’t want to do. We don’t have to force those experiences on them in the guise of learning. It’s a waste of their time. We also shift because we can. We aren’t bound—in most states anyway—by government standards or the requirement to use particular texts or curricula or lesson plans. And unlike private schools, we aren’t accountable to a company of tuition-paying parents. If something isn’t working for our child we can change it. Tomorrow. Today. This minute. Many of us stop calling ourselves teachers altogether, as we watch our role shifting from teacher to facilitator. While our children dig deep into their fascinations with primates or Ancient Egypt or the films of Quentin Tarantino, we learn how our children learn. And our kids learn that too. They become quite expert at understanding how they learn. Recently a dental hygienist discovered that my ten-year-old son is homeschooled, and she said to him, “So your mom is your teacher?” He replied, “I’m my teacher.” She smiled: how cute. I knew better; I knew he believed it. And I believe it too. Most homeschooling parents change and evolve as educators far faster than teachers ever do. We simply have more freedom and flexibility to do so. Plus, our incentive to change isn’t theoretical, or for improved test scores, or out of a passion for our career. Our incentive is our own children. Even the most conservative homeschoolers—those who employ a school model at home—tend to become more child-centered as they go. The needs of our children are too compelling to disregard. We change because our kids need us to change. School reformers seek change. Seth Godin’s manifesto is charged with good ideas for change. When he recommends “precise, focused instruction rather than mass, generalized instruction” we homeschoolers nod our heads. When he writes about the “transformation of the role of the teacher,” we cheer him on. When he trots out the phrase “lifelong learning” we find ourselves high-fiving our computer screens. And when he uses the word passion forty-two times in his manifesto, we understand why. We get it. So why does Seth Godin not get us? Why does he dismiss homeschooling so hastily, without letting us inform his goals? There are a few reasons, I’m guessing. For one, these reformers like ideas that are “scalable.” They’re searching for solutions that can be applied to all schools, everywhere. Since everyone can’t, or doesn’t choose to homeschool, reformers skim ahead to the next big idea. But the main reason they move on, I imagine, is that thinkers like Godin haven’t spent much time talking to actual homeschoolers. Like most people, Godin seems to believe that same creaky myth: we’re just replicating the school model at home. School reformers, if you don’t understand the distinction I’m making here, you might want to find some experienced homeschoolers and strike up a conversation. Some progressive thinkers already have. In Drive, Daniel Pink’s bestseller on the power of motivation, Pink proposes ten ideas for parents and educators regarding kids and motivation. Idea #9: “TAKE A CLASS FROM THE UNSCHOOLERS.” On her popular blog, The Innovative Educator, New York City teacher and tech administrator Lisa Nielsen has a tab titled “Why Homeschooling Stuff is Here” which leads to post after post about what she’s learned from homeschoolers, and how that might influence what’s going on in classrooms. Psychologist and Psychology Today writer Peter Gray is exploring unschooling through a series of articles and an extensive survey of unschoolers. Education writer and analyst Clark Aldrich’s most recent book, Unschooling Rules, lays out what Aldrich has learned from homeschoolers and unschoolers, and ultimately proposes this notion: the future of education will be a synthesis of today’s schools and unschooling. These thinkers promote ideas quite similar to Godin’s; the difference is that they’ve found inspiration in the experiences of homeschoolers. Doesn’t that make sense? Across the board, big thinkers in education are saying that today’s schools, modeled on Industrial Age values, aren’t serving the needs of the modern child. Schools need a radical change, a tectonic shift. Wouldn’t it be wise to pick the brains of those who have successfully made a similar shift? I can’t have every education reformer over for coffee—although my invite to Godin, should he find himself near San Francisco, still stands—but I’m not the only homeschooler to talk to. There are more than two million of us in the United States, according to recent estimates. Find a few, especially experienced ones. Talk to the parents. Ask what we thought about learning when we started as homeschoolers; ask how our notions evolved. Ask how our kids learned, and how we changed to help their learning. Ask what our kids taught us. Talk to our kids: young ones, grown ones. Ask what learning means to them. Ask about their passions; find out how they’ve cultivated them. You needn’t consider homeschooling as a scalable solution to the ills of schools (although with substantive school change years away, if you have kids of your own, you may be tempted.) Just hear us and muse on our experiences. We homeschoolers have been doing this for decades now; we’ve shifted from the old school model. We have insights that can influence education’s future, if you’d only listen. Loved your piece over on Innovative Educator today and followed the link to your site. Can’t wait to sit down with a cup of tea and read more of your blog later. 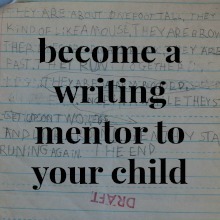 I am also a former teacher and now an unschooling mother of two. I couldn’t agree more with what you have to say. There are many things that schools could learn from asking homeschooling families about the hows and whys of what they do. Though homeschooling parents are the last place many in education would ever turn when looking for new ideas; so insulted they are by the suggestion that someone without training might have valuable insights regarding learning and children. I probably would have felt the same way during my early years of teaching and before I was a parent. I have found the hypersensitivity mentioned in one of the comments to your post much more frequently in the educational establishment than I have among homeschooling families. What I hear more from homeschooling families is sometimes weariness at having to explain the same things over and over again to people who want to poke holes in homeschooling rather than attempt to understand it. Lovely post! Thanks for clicking over, Kelly! I think it might have been hard for me to understand homeschooling back in my teaching days–but I’m sure I would have grasped it if I’d had time to really sit down and talk to a few experienced homeschoolers. Which is what I eventually did! We homeschoolers may not be experts in the latest reading innovations, or the newest math manipulatives, or the current science standards or how to manage a large group of children. (Although many of us actually do spend quite a lot of time educating ourselves on innovative education!) No, what we homeschoolers become quite expert at is understanding how kids learn. How our own kids learn in particular. And understanding how to adapt learning for the individual. And making learning a fun, natural part of everyday life! Love your blog. Have you read “Weapons of Mass Instruction” by John Taylor Gatto? He supports homeschooling. His book answers why school reformers aren’t really interested in the reform that you are writing about here. I’ve certainly read Gatto–Dumbing Us Down was a real shot of courage for me when I first began homeschooling. But I haven’t read Weapons. Sad that many reformers aren’t interested in this–but then again, I’m seeing more and more that are. And that’s incredibly encouraging. Thanks for the book recommendation. I have read Dumbing Us Down. Looking forward reading more Gatto! I must admit that since leaving teaching and becoming a homeschooler I have not been keeping up as well as I should with education reform. I have been in that busy stage of reforming the way WE do education. Thanks for the push to get updated… off to do some reading. Well, I don’t think that homeschoolers necessarily need to keep up with ed reform. We are ed reform! I just became interested in it last year when I began to research what’s happening with writing in schools, in order to write a book chapter on why writing matters. I’m mostly interested in innovative thinkers in education, not necessarily reformers, per se. For example, I loved Cathy Davidson’s book Now You See It, which is about the science of attention, and how it applies to learning and work. http://www.cathydavidson.com/books/now-you-see-it-book-description/ It’s all over the board, but it’s fascinating! I follow a lot of these education thinkers on Twitter, which is an easy way to keep up with what’s going on. Look through the list of who I follow and you might find some intriguing folks! Yes. You are right. We are reform. I was so involved with that part of it, the school part of it, for so long it now seems strange to be out-of-touch in a way. But I guess it is also a picking and choosing of where to put my energy. I once had a vet. teacher tell me that if all the involved parents pulled their kids out to homeschool there would be no one left to reform education. I still chose to homeschool. I thought her idea had value but at the same time did not want to use my kids as stepping stones to “school” education reform. Just read a couple books by Godin. He’s he likes to talk redundantly about an idea without getting into practical ways to change it. He piques the interest and then drags it along while he treads the same rhetoric — enough to make a book. I prefer reading blogs like yours over reading “manifestos” of people who don’t do the thing they’re suggesting others do. Interesting, Jennifer. After reading Stop Stealing Dreams, I definitely had the impression that Godin hadn’t done much research on homeschooling. I didn’t quote it in the article, but his language is very dismissive. (Check out section 121 of than manifesto if you’re curious, readers!) Which is frustrating, because so many people pay attention to his ideas. I thought that was a great point. And it was precisely why I wrote the article. I want to bring what we’re doing to more people who are real education innovators. I even sent a link to my article to some ed thinkers whom I admire. Just trying to spread the word about what we homeschoolers and unschoolers are really doing! What a fantastic post! I sheepishly admit that I never got through Godin’s manifesto to read the homeschooling section. Sounds like I didn’t miss much. 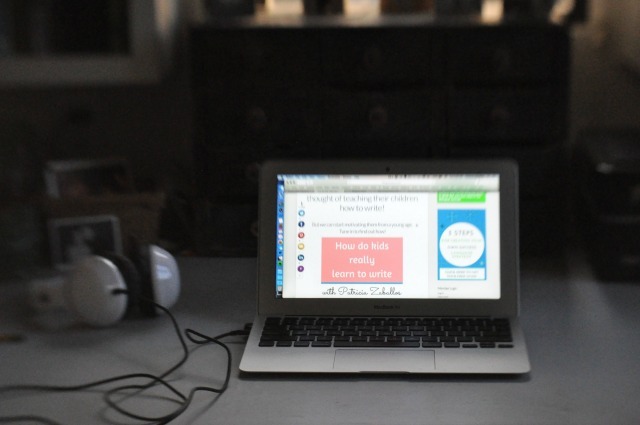 I learn so much from your blog – and agree that you’ve radically shifted schooling. So called reform leaders should prioritize listening to your insights. I assume that one day I will homeschool and guess on whose door I’ll be knocking? Melissa, you do so much to educate parents about how schools can be better places. I admire what you do! Was VERY glad to read this today! I loved about 80% of Seth’s book, and the other 20% gave me food for thought… the thing I didn’t like was that I felt he suggested parents were less qualified to homeschool because they’re not experts. Maybe I’m an expert in the subject matter I “teach,” and maybe I’m not – I happen to be a college math major and a 15-year veteran editor, so, you know, I feel like I’ve got SOME expertise – but even if not, I’m the ONLY expert in the world on one very important subject: my daughter. I’m so glad you were able to share such a clear explanation of what “we” are and how the models of unschooling and homeschooling relate to a more traditional school. I hear a lot, “Well, sure, you can do that, because you only have one child.” I don’t agree. I figure if a family can homeschool 10 kids in a day, then their methods ought to be applicable to a classroom teacher like you – one who’s creative and willing to work at it! That notion of homeschooling parents not being “experts” really bothers me. Because you’re right: every parent is absolutely an expert on his or her own children. And nothing matters more than that when you’re trying to help a kid learn. It’s been a long, long time since I was a classroom teacher. Homeschooling has made me entirely rethink what learning means; I couldn’t be a classroom teacher anymore. I still love working with kids, and facilitating their learning–I just have very different ideas about how to go about that. Thanks so much for taking the time to leave a comment, Joan! I feel troubled when I hear homeschooling parents say that they make their kids slog through tasks they don’t want to do because they think it builds up endurance and discipline for more advanced study, such as in college. I always have such a mixed response to these sorts of statements–on one hand, I don’t personally believe in forcing unpleasant tasks on kids for the sake of character-building, but on the other, I feel guilty or slackerish for not doing that kind of forcing. Maybe I’m stunting my kids by not making them do things they don’t want to do, you know? Your above quote really sums up what I genuinely believe and encourages me to act on what I believe. When I sit my son down to do math problems because I want to test what he knows and make sure he’s up to speed, he squirms and does the bare minimum. When he plays with math while he’s playing with Pokemon cards or trying to create a video game, he will stick with difficult tasks for hours. I see the power of choice in my own learning experiences, too. When I was a teaching assistant, I volunteered to teach tech writing to engineers because I heard that folks who volunteered for that less-attractive-to-liberal-arts-majors job had a better shot at the more fun stuff, like creative writing and world literature. As a tech writing teacher, I ended up having a great time learning about different ways of communicating and challenging myself as a teacher in new ways–because it was a CHOICE. If someone had forced me to teach tech-writing because they thought I needed to branch out and try something different, I don’t think I would have been nearly as effective. It would have felt like torture. Patricia, I am so thankful to have you as an online mentor! You know, Carrie, I don’t think I understood this notion fully until my two oldest reached their teens. I saw them pursuing all sorts of challenges that they wanted for themselves, and realized that they were willing to work incredibly hard for something they desired. Like you say, when it’s their choice, their determination is practically unstoppable. I could never get them to work that hard for ME! Schools could reinvent themselves entirely if they learned to focus on the internal motivation of students. And I’m glad to have you as someone to converse about big ideas with! You always have thoughtful insights. It’s funny, Paula, the first comment on the original post at The Innovative Educator accused me of being “hyper-defensive” about homeschooling. As if I’d written the piece to try to make people respect homeschooling more. But that wasn’t my point at all. I wrote it because I wish kids in schools could have experiences more like homeschooled kids. I wish their educations could be more meaningful. And if I can use my “experience on both sides” to try to convince people of that, I’m willing. I find myself nodding at every paragraph. You are SO right. Seth Godin actually included my book in his resource section. I was thrilled, till I read Stop Stealing Dreams and felt as if he still filtered his perceptions through the school mindset, the one we homeschooling parents often struggle to overcome when we first envision learning with our kids. Thanks for articulating this so well. Sharing! Hi Laura! I’m so honored that you came by and read my article! I remember seeing your book in Godin’s reading section and thinking, huh? How could he have read that book and then written the homeschooling section that he did? Thanks so much for sharing my article on Facebook as well. This blog has been on fire this weekend, thanks to you! I enjoyed your article. I am currently homeschooling my daughter and plan to homeschool my son when he’s a bit older. I strongly believe that homeschooling can be amazing and that, if implemented by loving, devoted parents, it will surpass a public school education 100% of the time. But I have to admit, I’m struggling at it. This is my story: My daughter is bright. She taught herself to read when she was 3 (which still astounds me). She begged to go to school then but they don’t let 3 year olds in public school. By the time she was old enough, she had long since learned everything kindergarten had to teach her. And each year after was the same story. By the time she graduated from second grade, she was very frustrated with her school experience. She saw a commercial for a virtual charter academy and begged to join. I was hesitant and tried to resolve her problems with school by speaking with her principal. She was going into third grade and he wanted to try putting her into classes with 4th or 5th graders in the areas she was strongest in. However, her teacher was opposed to the idea and it all fell apart. Ultimately we pulled her out and tried online school. The virtual charter academy had a waiting list so we paid out of pocket for their materials and it began. We decided to start off with a split year (3rd/4th), similar to what her principal had been proposing. However, when a spot opened up for her in the charter academy, they couldn’t take a child doing a split year. Our choice was to give up our spot or have her throw away all the 4th grade work she’d done, which at that point was more than half a year’s worth. We gave up our spot. Well, my daughter became frustrated with her homeschool experience (for reasons I’ll get into below) and decided she wanted to be back in a classroom environment, so we pursued that. We were told to get her into one grade. So we neglected her 4th grade studies so she could concentrate on finishing up 3rd. But by the time the school year started this year, she was almost to 5th. Then the problem arose that she was too young to go into 5th. I spoke with both the public school and a local private school and they both said they’d put her into 4th grade, even though she has already done the work! So we decided, homeschool is where she stays… which, again, I strongly believe in, but our experience with it is frustrating and I don’t know how to pull this off. The biggest problem is my daughter has ADHD. She is continuously distracted by everything, even her own pencil. In a school setting, for some reason, she was able to suppress her ADHD until she came home and unleashed her pent up restlessness on us, but going to school at home she’s so comfortable that she can’t stay focused. When she has brief moments of focus, she plows through her work at amazing speeds, but those moments are so few and far between and the small changes that cause them never work at second time. She is very frustrated because she really does want to stay focused but she can’t. And its complicated by my own ADHD. She is very bright and has so much potential. I believe homeschooling her could allow her to make great strides in education and move at the faster pace she desires, but with her lack of focus, she is getting much less done now than when she was at a regular school. I’ve even found myself speaking to her out of my own frustration which just makes her cry because she’s frustrated too and doesn’t mean to wander. I don’t know what to do. We’re stuck homeschooling for now unless I compromise her education, which I won’t. But I don’t know how to improve this experience and make it viable for us. ANY ideas? Hi, Mrs… Wow, it sure sounds like you’ve been trying lots of different options to make things work for your daughter. Not knowing you or your daughter, it’s hard to offer advice in a space like this. But I wonder: when your daughter loses focus, what sort of work is she doing? Is it something she wants to do, or is it the sort of work she might be doing in a traditional classroom? I’ve always enjoyed how homeschooling allows our family to break free of traditional school expectations. Rather than asking myself how I can get my kids to focus better on “school work”, I’ve learned to ask, “what is my child naturally focused on that I could help him or her explore more deeply?” In other words, I try not to push my kids to attend to what matters to me; rather, I start with the kids’ interests and see where they might take us. I realize that if your daughter has been going in and out of classrooms, and much attention has been given to concepts like “grade level” that this may sound like a leap. If so, I have a book to recommend. Did you see my recent review for Project-Based Homeschooling? 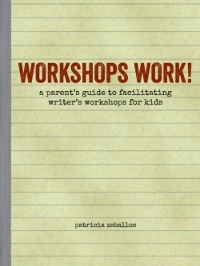 http://patriciazaballos.com/2012/08/24/book-review-project-based-homeschooling/ It’s a wonderful book that helps parents learn how to examine their kids’ interests so the parent can better mentor the child and those interests. It might be interesting for you. What I’ve learned over many years of parenting is that every kid is capable of focusing. They just may not want to focus on what we’d like them to focus on. As a huge Seth Godin fan… I liked your article. We all seem to be circling the same four things: innovation, inspiration, passion, and education. I like Seth too. I just wish he’d dig a little deeper into what we homeschoolers actually do. Look forward to seeing you around here in the future! I’ve been dipping into your blog for around a year now (in fact, reading about how the name *wonder farm* came about, inspired us to consider what we would call ourselves). I only just came across this post today, though. I find that I am involved in a quiet revolution, spreading the word one person at a time, acting as a sounding board for families who are considering home ed, but are wrapped up in the school system. I love to offer words of encouragement and support and loan out books (especially John Holt). (obvious to any mother who has ever breastfed a 3 month old, who, upon hearing an interesting sound, turns their head, leaving you sitting there with your bosom hanging out). is it even possible to go through your day without learning anything of use? is it even possible for what you have already learnt (through your own hunger, drive and desire) to just fall out of your head? I’m honored that you’ve read here for so long! Homeschooling can be a quiet revolution, can’t it? I’ve been lucky enough to find out that an article I once wrote about homeschooling has encouraged a few families to actually dig in and do it. So incredibly fulfilling. Thank you for sharing your poetry. It’s beautiful.